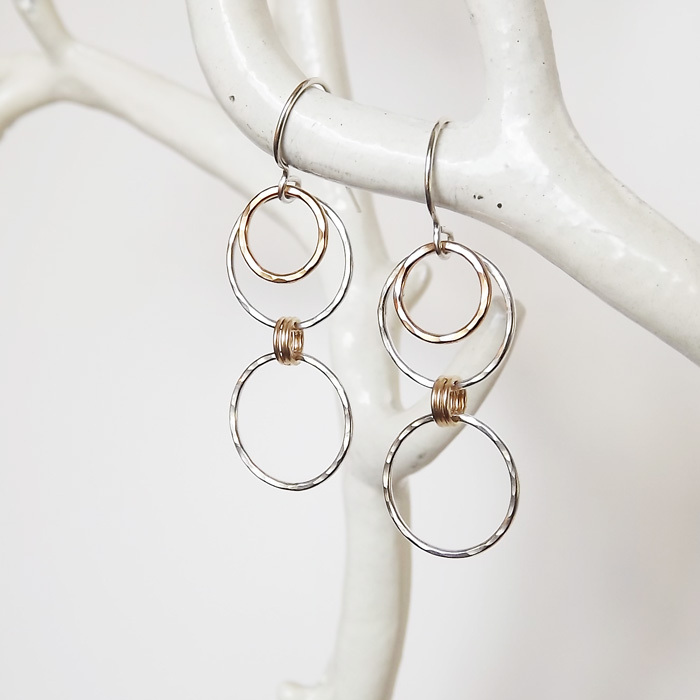 Layered double linear hoops in mixed metal…these cute earrings are perfect for work or a night out. 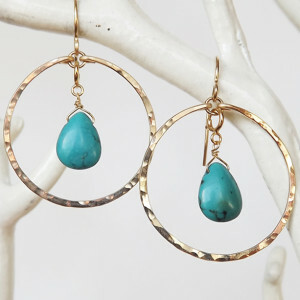 As seen on Jordin Sparks in sterling and gold filled. 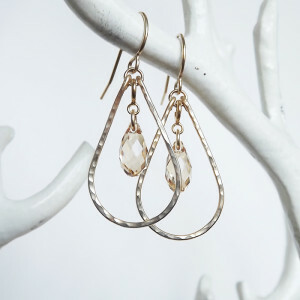 Fall about 1 3/4″ from sterling ear wires.